Save the Children gives children in the United States and around the world what every child deserves – a healthy start, the opportunity to learn and protection from harm. When disaster strikes, we put children’s needs first. We advocate for and achieve large-scale change for children. We save children’s lives. Join us. MBBS from recognized government institution, registered with PMDC and 01 year House Job from recognized Government Hospitals. All candidates should apply to this job before 10/02/2015 and application will start from 31/01/2015. 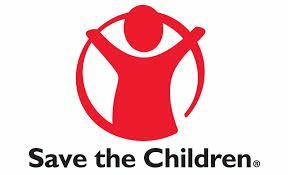 For this Job Opportunities Save the Children has decided to conduct written test/interview. Selected candidates will call for Interview. Applicants should send their CV at “hrm.btg@gmail.com” before February 10, 2015. Postal Address : Save the Children, St Vincent House, 30 Orange Street, London, WC2H 7HH, UK. pkvacancy.com is a premiere source for all job hunters striving to make a mark in their career. pkvacancy.com website has helped thousands of job seekers throughout Pakistan with its extensive database of job opportunities covering all major cities and job types.